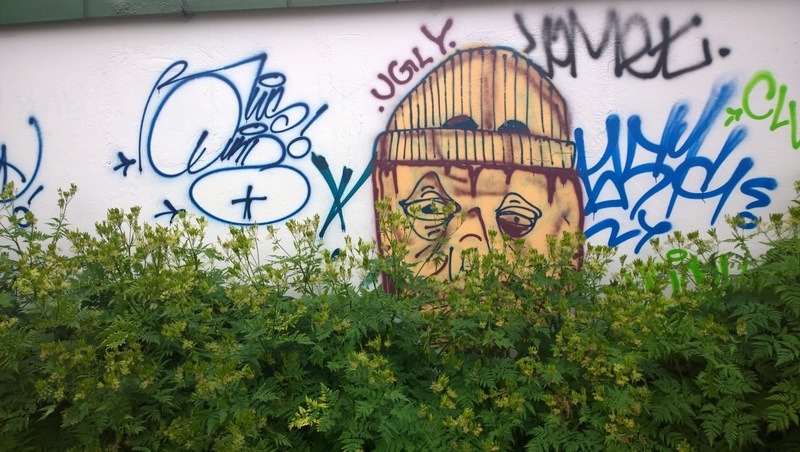 In this post we discuss some of the plants we saw on a trip to Iceland. 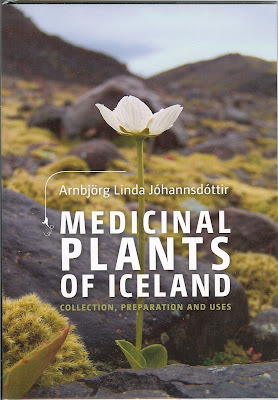 In Flora Resources for Iceland from our 2012 trip, we list a few resources for discovering plants. In this post, we repeat the information and add to it. Our 2012 Thanksgiving in Iceland: Two Days in the Golden Circle and Two Days in Reykavik trip was short, just a long weekend really. Our 2015 trip was 12 days long and we got a better sampling of plants, especially because it was summer, we hiked more, and drove around the island (counter-clockwise) seeing more diverse landscapes. 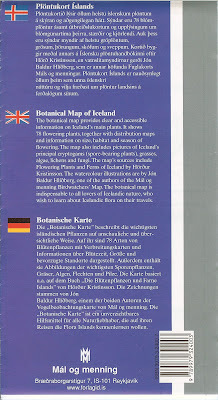 Speaking of plants, there are two botanical gardens that we are aware of: one in Akureyri, which we visited, and one in Reykjavik, which we didn’t visit. We were impressed by the one in Akureyri considering the size of the town is less than 20,000. And, there is a nice café there. In this post, we discuss the plants we could confirm with resources shown in the section below. Most, if not all the plants we saw, were easy to observe. Keep in mind we were visiting in early July. Many told us that there was a late winter, and spring and summer were delayed. This had some impact on the plants we saw, but not that much. Most surprising to us was the Lupinus nootkatensis, commonly called in English just lupin, Alaskan lupin, or purple nootka. On our 2012 trip -- in the dark days of mid-winter -- we had a limited sense of ground covers (besides mosses and lichens). But this time, as we left the airport and hit the outskirts of Reykjavik, we were hit full on by waves of purple lupin blossoms. More or less we chased the waves of purple around the island, though it seemed particular striking in the south coast. The owner of a B&B we stayed at described it as controversial, introduced in the 1940s to combat erosion (which it is), but now causing concern because it is spreading quickly. Purple menance or miracle erosion plant? Either way, it was quite spectacular to look at. Here’s a list of resources we used for helping to identify plants we photographed. 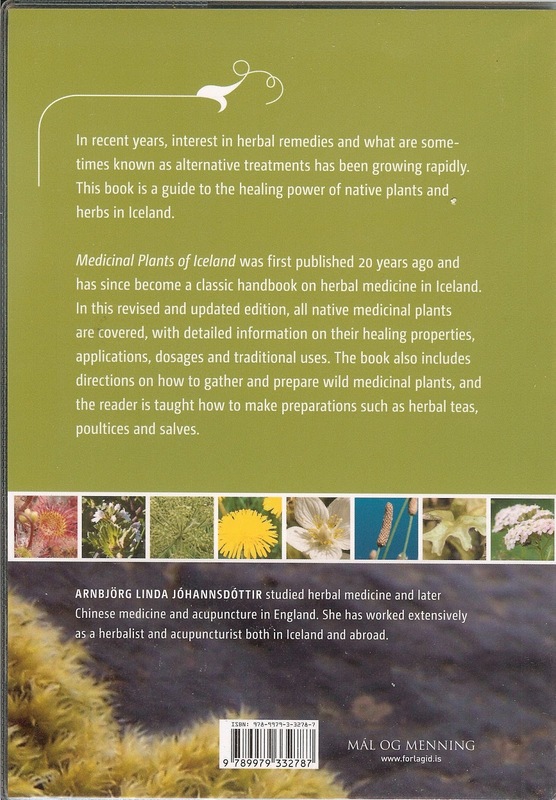 The Flowering Plants and Ferns of Iceland is the de-facto, easy-to-use, and easily-accessible reference on the subject. Natural History of Iceland – Useful is the background information on the flora of Iceland (link) and a summary of plant families (link). 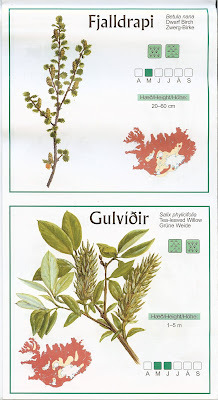 NAT Nordic Adventure Travel – A good overview article on flora-vegetation of Iceland. Flora of Iceland – Flóra Íslands - A comprehensive site about the flora of Iceland. The site is in Icelandic, so some work is needed to understand how to navigate around. You can try a site search in a search engine that is says, for example, find find dryas octopetala on the site www.floraislands.is. 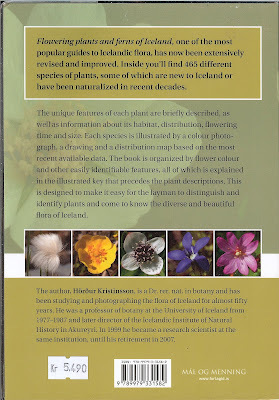 Encyclopedia Arctica – extensive treatment of topography, climate, flora, vegetation and more. Icelandic Insitute of Natural History - A good overview of major vegetation types: sparsely vegetated land, snowbed, moss heath, heathland, forb meadow and grassland, wood and shrubland, wetland, aquatic, coastal, and geothermal vegetation. Note that “forb” is a herbaceous flowering plant other than grass. 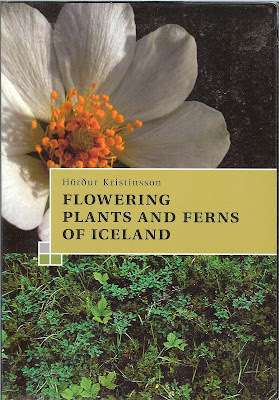 Iceland Wildflowers and Other Plants by Focus On Nature Tours. Extensive and useful to use. Keys are provided by color and by common name. Some photos included. You can find all three of these resources in many places around Iceland, like in the N1 Gas Stations. 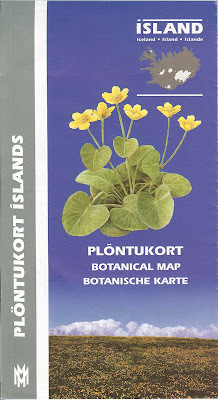 Plöntukort – Botanical Map – A big friendly way to discover the most common plants. 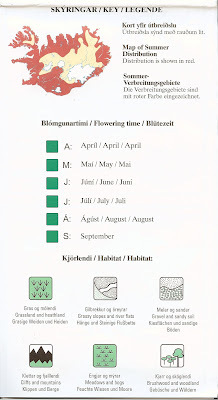 Each entry has a quick key of when the plant blooms, where it typically grows, and in what part of the country. 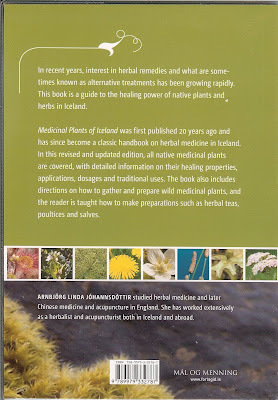 The numbers after each item in the list refers to the reference number in Flowering Plants and Ferns of Iceland. Locations provided are approximate. For most of the photos we have exact geo-coordinates. If you are interested, post a comment. Taraxacum spp. - Dandelion (#222) - It's almost embarrassing to include this, but it is quite common in Iceland. And, my sense is that it isn't shunned as a plant like it is elsewhere. This photo was taken at Namafjall (Hverir), Northeast, Iceland. Angelica archangelica – Wild Angelica (#149) - This is quite common around towns. As you can see, it is an insect magnet. The left photo was taken at Seljalandsfoss, South, Iceland. The right photo was taken on the border of the west end of the black beach of Vik, South, Iceland. Myrrhis oderata – Sweet Cicely (#152) - Common around settlements and in towns. 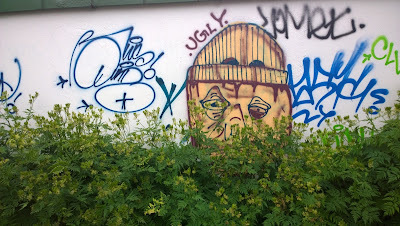 The right photo (in front of graffiti) was taken in Reykjavík, Capital Region, Iceland. The right photo was taken in Akureyri, Northeast, Iceland. Betula nana – Dwarf Birch (#304). This photo was taken on a hike to Súlur, Northeast, Iceland. Cardamine pratensis – Cuckoo Flower (#78). The left photo was taken on a hike to Súlur, Northeast, Iceland. The center photo was taken near Seljalandsfoss, South, Iceland. The right photo was taken at Þakgil (Thakgil) Campsite. Honckenya peploides – Sea Sandwort (#125). The left photo was taken at Reynisfjara. The right photo was taken on the edge of the black sand beach in Vik, South, Iceland. Lychnis alpina (Viscaria alpina) – Alpine Catchfly (#51). We stopped along the ring road (route 1) somewhere west of Kirkjubæjarklaustur, South, Iceland to look at the incredible lava and moss landscape. Found this catchfly there. Silene dioica – Red Campion (#52). This photo was taken as we left the trailhead of a hike to Súlur, Northeast, Iceland. Silene uniflora – Sea Campion (#100). The photo on the right was taken on the edge of a dried up lagoon bed near the Gígjökull glacier tongue. 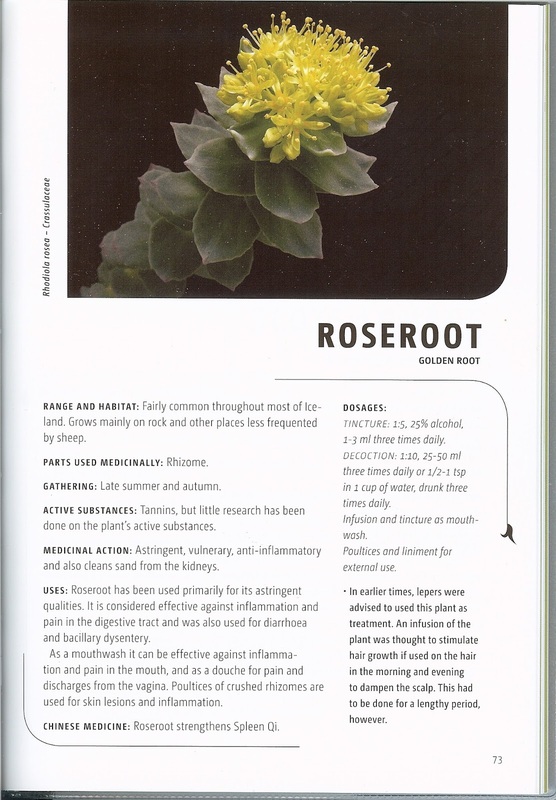 Rhodiola rosea – Roseroot (#213). Both photos were taken outside of our apartment in Vik, South, Iceland. However, we would see this succulent in many locations, usually on cliffs. Left: Eriophorum angustifolium – Common Cottongrass (#429). The left photo was taken near Seljalandsfoss, South, Iceland. Right: Eriophorum scheuchzeri – Scheuchzer’s Cottongrass (#395). This right was taken inside the Laufás Museum, Northeast, Iceland. Kalmia procumbens or Loiseleuria procumbens – Trailing Azalea (#68). Both photos were taken on a hike to Súlur, Northeast, Iceland. Vaccinium ugliginosum – Bog Bilberry (#84). The photo was taken at the start of our Fimmvörðuháls Pass, Þórsmörk to Skógarfoss Hike. Lupinus nootkatensis – Nootka Lupin (#4). The left photo shows the black sand of a Vik beach as a backdrop for the purple lupin. The left and center photos were taken in Vik, South, Iceland. The right photo was taken as we drove toward Höfn. The Vatnajökull glacier is in the background. Vicia sepium – Bush Vetch (#5). This photo was taken around the Perlan, Reykjavík, Iceland. Lamium album – White Dead-Nettle (#186). The first photo was taken at Laufás Museum, Northeast, Iceland. The right photo was taken in a garden in Reykjavík, Capital Region, Iceland. Dactylorhiza maculata – Heath Spotted Orchid (#42). All three photos were taken at the start of our Fimmvörðuháls Pass, Þórsmörk to Skógarfoss Hike. Platanthera hyperborea – Northern Green Orchid (#242). Both photos were taken during a hike to Súlur, Northeast, Iceland. Pseudorchis albida – Small White Orchid (#243). Both photos were taken at the start of our Fimmvörðuháls Pass, Þórsmörk to Skógarfoss Hike. Bartsia alpina – Alpine Bartsia (#21). The right photo is at the start of our Fimmvörðuháls Pass, Þórsmörk to Skógarfoss Hike. Rhinanthus minor – Yellow Rattle (#219). These photos were taken on the border of the black beach of Vik (location). Armeria maritima – Sea Thrift (#75). The left photo was taken toward the end of our Fimmvörðuháls Pass, Þórsmörk to Skógarfoss Hike. Rheum rhabarbarum – Rhubarb. The left photo was taken in Akureyri, Northeast, Iceland. The right photo was taken at a AirBnB place we stayed at west of Vik, South, Iceland. Caltha palustris – Marsh Marigold (#190). Both photos were taken at Seljalandsfoss, South, Iceland. Ranunculus acris – Meadow Buttercup (#196). The \photo was taken at Seljalandsfoss, South, Iceland. Ranunculus glacialis – Glacier Buttercup (#91). The left photo was taken on a hike to Súlur, Northeast, Iceland. Alchemilla alpina – Alpine Lady’s-Mantle (#234). The right photo was taken at the edge of the Jokulsarlon Glacial Lagoon, East, Iceland. Geum rivale – Water Avens (#71). All three photos were taken during a hike to Súlur, Northeast, Iceland. Sorbus aucuparia – Rowan (#147). The left photo was taken in Akureyri, Northeast, Iceland. Salix lanata – Woolly Willow (#308). The left photo was taken when we stopped along the ring road (route 1) somewhere west of Kirkjubæjarklaustur, South, Iceland to look at the incredible lava and moss landscape. The middle photo was taken on the edge of a dried up lagoon bed near the Gígjökull glacier tongue. The right photo was taken at the start of our Fimmvörðuháls Pass, Þórsmörk to Skógarfoss Hike. Saxifraga rosacea – Irish Saxifrage. This little guy was on a short climb to look down on the waterfall Gljúfrafoss, South, Iceland.